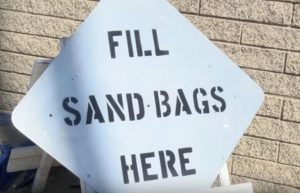 Filling and effectively deploying sandbags is an easy process, if you know how. 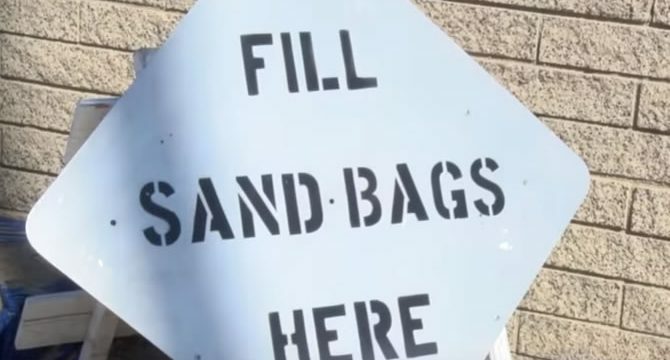 Don’t over fill. 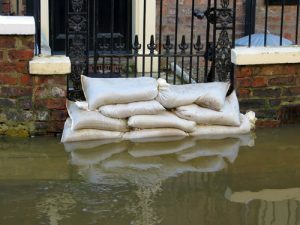 Sandbags should be filled to about 1/3 full so they can be easily moved and placed. Overlap the open of tied end with the next sandbag and stomp in place. When deploying a row on top of a row of sandbags, overlap the seems as shown in the video below. Remember to stomp the bags you place down to fill in the cracks between the bags to help keep the water out.